Dr. Beth Kleiner has been in private practice in radiology on the San Francisco Peninsula since 1986. 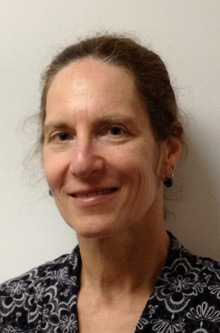 She completed a fellowship in computed tomography and ultrasonography in 1985 at the University of California San Francisco and completed a second fellowship in magnetic resonance imaging in 1986. She took her radiology residency at Stanford University Medical Center and was Board certified in diagnostic radiology in 1984. Prior to that, she completed a pediatric internship at the University of California Diego in 1981. Dr. Kleiner grew up in Denver, Colorado. She received a B.Sc. degree from Massachusetts Institute of Technology in 1976 and her M.D. from the University of Colorado Medical Center in 1980. Dr. Kleiner has been on the clinical faculty of the University of California San Francisco since the completion of her fellowship. She serves as a consultative sonologist for the Prenatal Diagnostic Center satellite of the University of California San Francisco. She is author of many scientific publications in radiology and genetics. Dr. Susan Marks has been in private practice in the San Francisco Bay Area since 1989. She received her M.D. from Boston University Medical School in 1981 and completed her radiology residency at the University of Southern California in 1986. Dr. Marks completed an ultrasound, computed tomography, and MR fellowship at Stanford University Medical Center in 1987. She then completed a second fellowship in breast imaging in 1988 at the University of Cincinnati, becoming one of the first fellowship-trained mammographers in the United States. Following training she was an Assistant Professor of Radiology at Stanford University where she taught radiology residents and fellows in mammography, ultrasound, and computed tomography, as well as providing radiology services for Stanford University Medical Center. Most recently Dr. Marks has been the director of Women’s Imaging at St. Mary’s Medical Center in San Francisco. As part of this practice Dr. Marks was the mammographer for the Breast Consultative Service Program and Breast Cancer Tumor Board. Dr. Nancy Lai joined our practice in July 2002. She completed her residency at the Medical School of Wisconsin and her medical training at seven-year undergraduate and medical school program at Northwestern University where she graduated AOA with highest honors. Dr. Lai worked in Philadelphia for two years at Frankford Hospital, which is affiliated with Thomas Jefferson University Medical Center. She has extensive experience in the areas of high-risk obstetrical and general sonography. 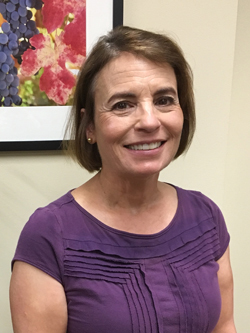 Dr. Sharon Stein has been in private practice in radiology in the South Bay since 2002, primarily in breast and women’s imaging including digital mammography, breast ultrasound, breast MRI and imaging guided breast biopsies. Prior to private practice, she was an Assistant Professor of Clinical Radiology at USC Keck School of Medicine from 1992 to 2002 where she taught radiology residents and fellows in breast imaging, women’s imaging, ultrasound and computed tomography. She completed a Body Imaging fellowship at USC in 1992 after a Radiology Residency at the University of Texas Medical Branch in Galveston from 1987 to 1991. She received her MD from LSU Medical Center in 1987, graduating with honors as a member of the Alpha Omega Alpha medical honor society.